Our Racing Shoes feature a PVC/rubber flexible outer sole, an exterior constructed of Fire Retardant suede leather and the interior is made of fleeced lined Nomex for added comfort. 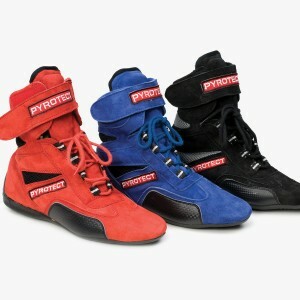 Styled with an adjustable wraparound padded ankle support. MeetsSFI 3.3/5 specs.